Shopping in Nagoya means shopping in Sakae, Nagoya's downtown shopping district. All the big brand names and fashion outlets can be found along Otsu-dori avenue, the top shopping street in Nagoya. The big department stores offer all kinds of shops, and usually have restaurants on their top floors, while supermarkets are at basement level. There is an underground shopping mall around Sakae Station, but it is at street level that you'll have the best experience. 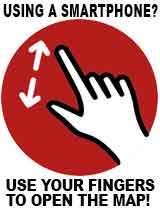 Click the Map above for Sakae Shopping map with location markers for department stores and shops! Click banner on right for a printable shopping map of Sakae (PDF)! The whole area below Central Park is a long underground mall with all types of shops, restaurants and cafes. It's not top end shopping, but worth a look around on the way to going above ground. This giant spacious Apple store has everything one expects from Apple, including their signature I-phones, computers, watches and all their accesories and devices. Super friendly staff too. The Sunshine building in the center of Sakae besides having a variety of shops and cafes also has a ferris wheel slowly circling its North side for decent views of the downtown Sakae area. 500 yen once around per a person. A collosal multi-story building with several levels of shops and showrooms, Nadya Park counts LoFt and Mont Bell among its many stores. It's just a couple of minutes walk from Sakae station. 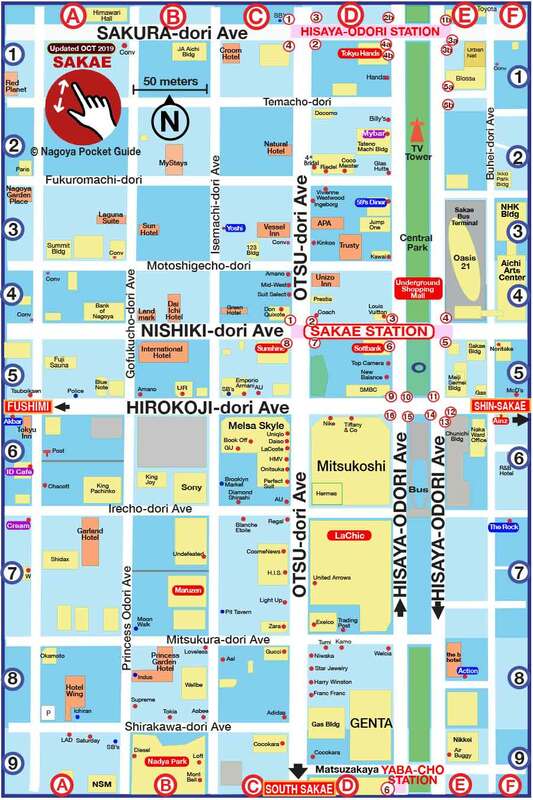 Printable Shopping Map of Sakae Nagoya (PDF)!